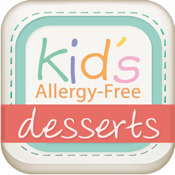 This is a recipe collection of my kid´s favorite allergen-free desserts. I have been using these recipes for years and my kid loves them all. All eleven recipes are milk-egg-soy-peanut free. Your child will enjoy having desserts that are delicious and safe. And the best part, everybody in the family will enjoy a good dessert that is allergen-free.